My 11 yr old DD is using Crele OEGB's for her 4-H project. 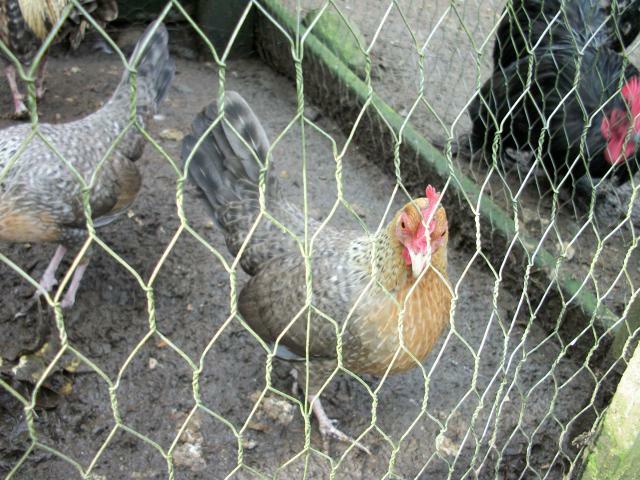 It is one of our first breeding projects. 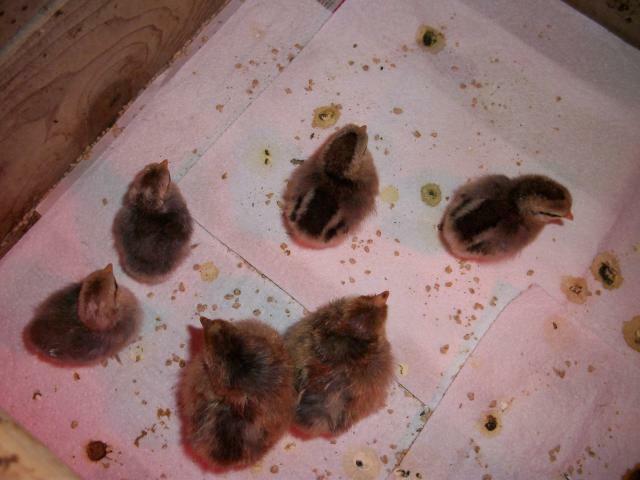 We started with one little Crele chick from the feed store in spring of 2009. 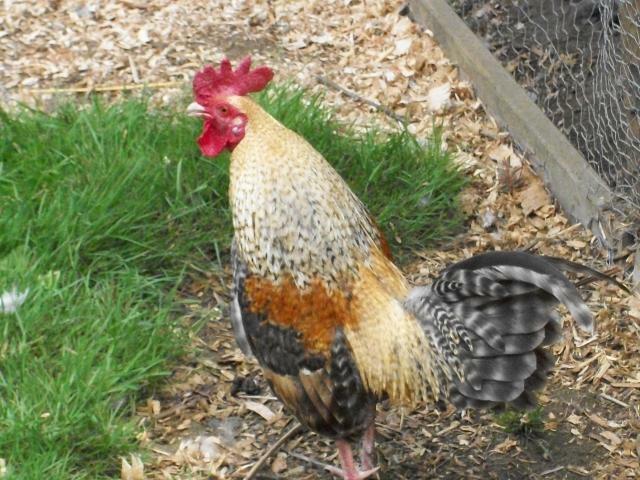 We liked him so much we got two more chicks in spring of 2010, and both turned out to be pullets. We now know that these little guys can be sexed at birth. Scroll down to see chick pictures. We do hope to add more quality stock to our little flock in spring of 2011. But so far we have had two hatches from the trio pictured below. 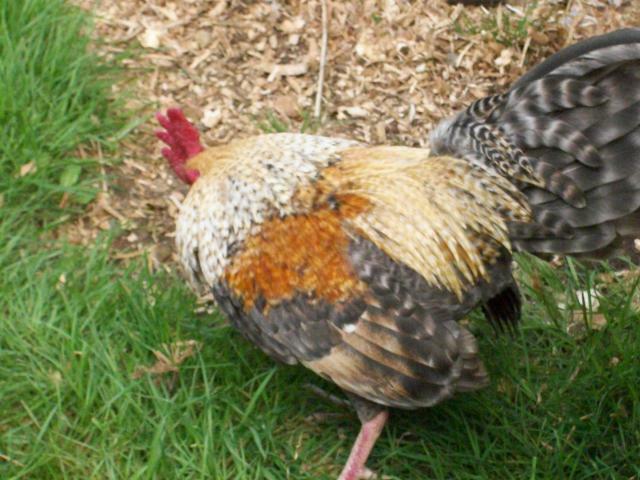 We got two chicks in spring of 2010 and both turned out to be pullets. 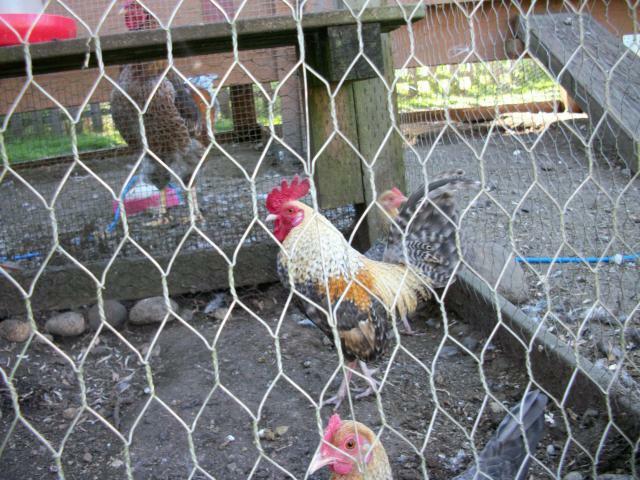 Our first hatch was in Oct 2010, and we only did a couple test eggs and got two little boy chicks. Our next htach was in Nov 2011 and we got 2 girls and 2 boys. The pic below shows 3 from the 2nd hatch. Two girls are on the left with the eyeliner and chipmunk pattern. 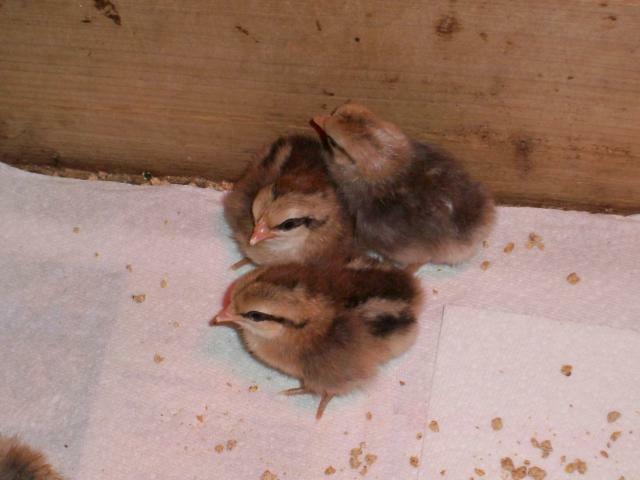 The boys have a gray back with a reddish head with a white dot on the back of their head like the chick on the right. Here's another photo of that batch (with a few BLRW also in the pic). In the photo above, the two chicks on the left are male, Crele's and the two in the upper right are female Crele's. (The two at the bottom in the middle are the BLRW).